It’s a good idea to make sure your affairs are in order before beaming down to a mysterious new planet wearing a red Starfleet uniform, but what if you were wearing a pre-damaged uniform first? Maybe whatever aggressive alien race you were about to face would assume you’d already been phasered to death, and leave you alone. 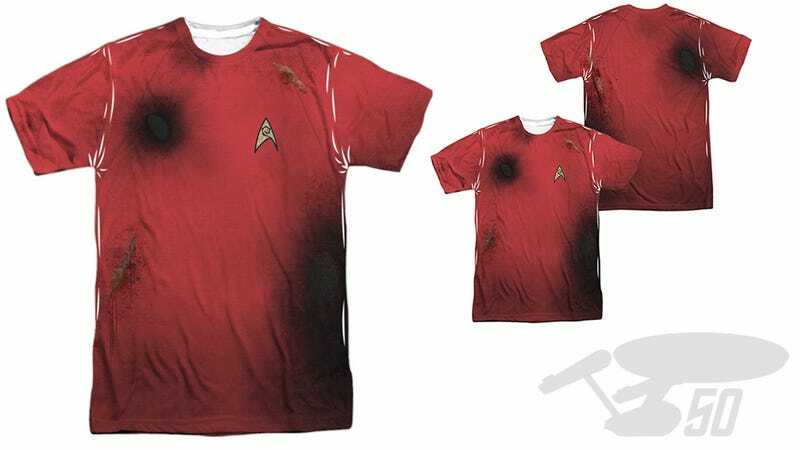 It’s worth a shot, especially since this pre-blasted Star Trek Redshirt tee can be had for just shy of $34. What&apos;s Your Favorite Thing About Star Trek?